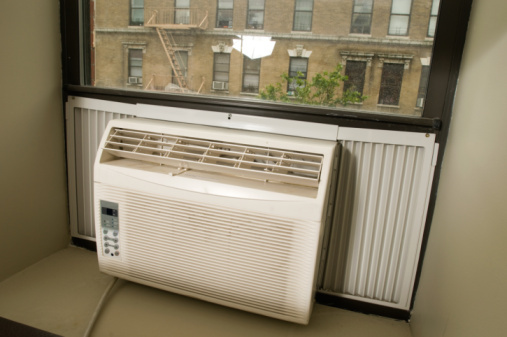 Air conditioning is a must for most homes in the summertime and a welcome respite from merciless humidity and heat. 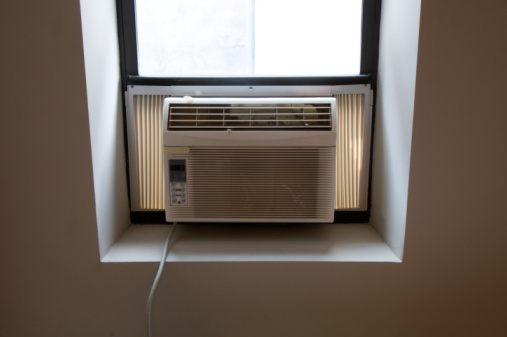 However, if you haven't given your air conditioner a thorough cleaning in a while, the appliance might blast a foul smell into your home along with the cool air. This can lead to a quite intolerable situation, making your house seem gross and inhospitable. Luckily, cleaning your air conditioner isn't a complicated task. It's about as simple as doing a load of laundry. Failure to clean your air conditioner could cause it to give off a foul smell. Take out the filter from the front grille. Throw it away if it's disposable. If it's not, place it in a shallow pan and sprinkle dish or laundry detergent on top of it. Pour boiling water on top of it and allow it to soak for 15 minutes or until the water cools. Rinse it with clean water and hang it up to air dry. Take out the front grille by opening two clips at the bottom of the grille. Depending on your air conditioner, you may need to remove screws. Set the grille aside. Remove the metal cover of the air conditioner. Wipe down the front fins of the evaporator with your long-handle brush. Spray the inside with a cleanser made specifically for air conditioners. Let the cleanser sit for at least 15 minutes, then wipe down the inside of the air conditioner. Wipe off dust and buildup from the inside of the air conditioner with a barely damp rag. Run a vacuum across the inside of the air conditioner to collect dust or other particles that might have fallen into the unit, contributing to a bad smell. Remove any standing water left in the base of the air conditioner with a sponge. Sprinkle a light dusting of baking soda in this area.